Administrators and security establishments in India never seem to learn from past mistakes. 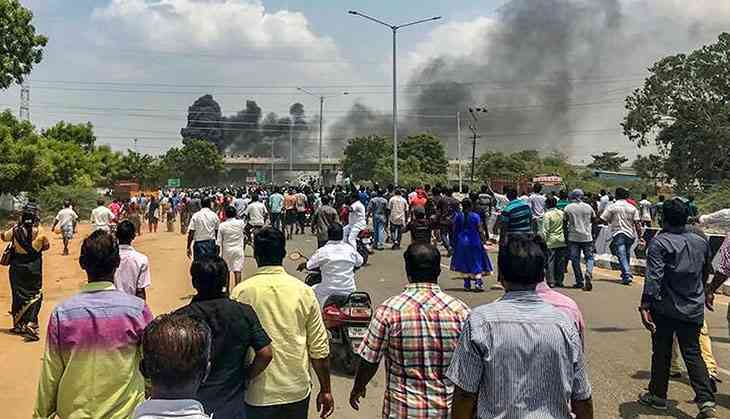 In what brings back the memories of the deadly Nandigram land agitation in West Bengal, Tamil Nadu Police Tuesday shot dead citizens it were to protect after a protest against Sterlite Industries' controversial plant turned violent. By late afternoon the death toll had reached nine. Several were injured. Several photographs of the dead (which we are not publishing) that were doing the rounds indicated the police fired at chest level. A judicial probe has been ordered. If violence breaks out security forces are normally required to first shoot in the air as a warning and then, if the situation remains out of hand, at lower levels so that casualties can be avoided. Catch News sought comment on this from the Thoothukudi police superintendent, who wasn't available. Nor were there any clear message of condolence from the Edapaddi K Palaniswami government. In fact, some reports suggested that the government defended the firing, calling it “unavoidable”. The incident drew sharp reactions from activists and common citizens alike who criticised the government's handling of the situation. Twitter was abuzz from the morning over the issue. The administration should have been better prepared to tackle the situation as it was known that Tuesday's protests will escalate. Tuesday, being the hundredth day of protest against Sterlite's copper smelter at the coastal city, there were calls for mobilisation vial social media. Sterlite Industries is a subsidiary of Vedanta Ltd, founded by Anil Agarwal, which is not new to controversies. The Dongria Kondh tribals in Odisha's Niyamgiri Hills fought a protracted battle against the company's move to extract bauxite from areas inhabited by them, in the process jeopardising local ecology. Away from India, villagers from Zambia have sued Vedanta in the United Kingdom, where the company is listed since 2003, for polluting rivers. Dissident shareholders have routinely raised such issues at the company's annual general meetings. In Thoothukudi, residents have been complaining that the factory is a health hazard. Countless residents of villages and town near the plant have allegedly been affected by several health conditions, from respiratory troubles to even cancer. But protests intensified after the company publicised plans to expand the plant to arguably the largest of its kind in the world. This despite an ongoing legal battle in Supreme Court over whether or not the company should shut down the plant. Protests have continued from earlier this year while the company has refused to move out. The state pollution control board last month rejected the company's plea to to renew licence. As popular anger increased, District Collector N Venkatesh warned of strict action against “those disturbing peace”. Later, the Madras High Court directed the central and state governments to respond to a petition by former Parliamentarian Vaiko seeking to oust the factory. The Marumalarchi Dravida Munnetra Khazagam leader reportedly went to Thoothukudi to meet protestors Tuesday. Opposition Leader MK Stalin condemned the police action as did actor-politicians Kamal Haasan and Rajinikanth. தூத்துக்குடி மாவட்டம் புன்னைக்காயலைச் சேர்ந்த 23 வயதே ஆன நமது இயக்க உறுப்பினர் திரு.ரவிட்டன் அவர்கள் அகால மரணமடைந்த துயரச் செய்தி மனதை உலுக்கியது. அவரது குடும்பத்தார் மற்றும் நண்பர்களுக்கும் எனது சார்பாகவும் நமது இயக்கம் சார்பாகவும் ஆழ்ந்த அனுதாபங்களைத் தெரிவித்துக்கொள்கிறேன். மக்களின் உணர்வுகளை மதிக்காத இந்த அரசின் அலட்சியப்போக்கின் விளைவாக இன்று பொதுமக்கள் சுடப்பட்டு உயிரிழப்புகள் ஏற்பட்டிருப்பது மிகவும் வருந்தத்தக்கது, கண்டிக்கத்தக்கது.நடந்த வன்முறை மற்றும் பொது ஜன உயிரிழப்புகளுக்கு தமிழகஅரசே பொறுப்பு. According to Covaipost.com, the police firing was unprovoked and on a peaceful gathering. But there were also reports that a section of the protestors wanted to “capture” the collector's office. The heavy police bandobast – Section 144 was already imposed – comprised forces from Virudhunagar and Madurai districts. This again points towards the fact that the administration was aware that Tuesday's protests – coming after a nerve-wracking three months – could snowball into something big. If the administration could mobilise forces from other districts, it could also arrange water canons or other means to deal with the crowd. Before all that, the government could have reached out to locals and discussed the situation. Instead Tuesday left nine protestors dead for demanding their right to live a healthy life on their land. Thoothukudi joined a long list of places in India where citizens are bulldozed by governments they elect. Be it Narmada or Nandigram, Jaitapur or Kudankulam, the more things change the more they remain the same.